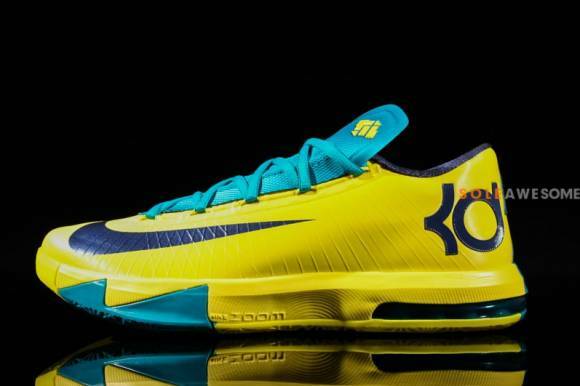 Today we get an updated and detailed look at the upcoming Nike KD VI. 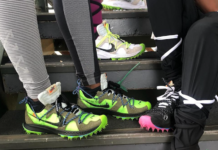 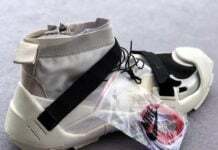 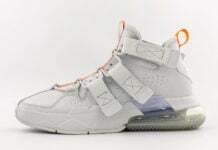 The sneaker features a low cut and a 180 visible Zoom Air cushion. 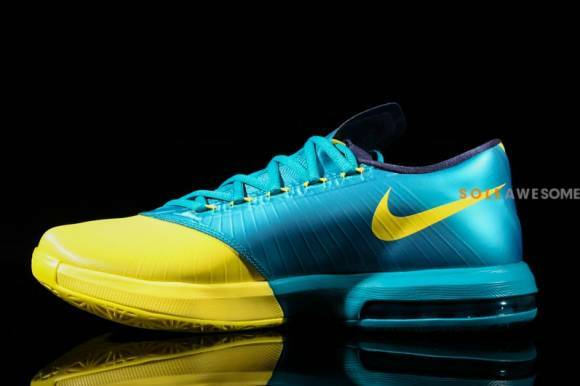 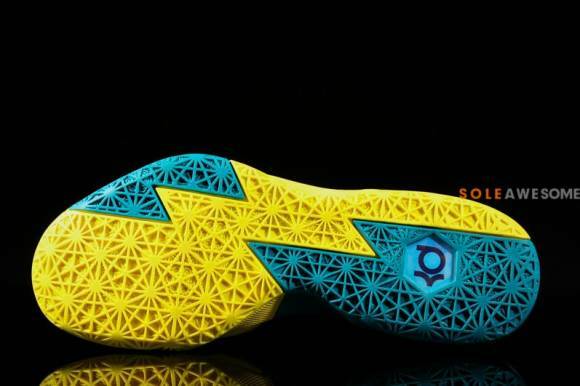 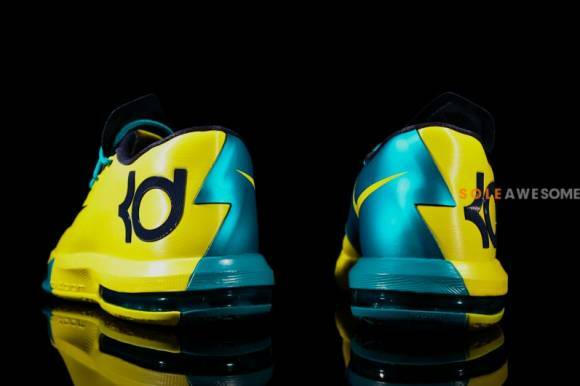 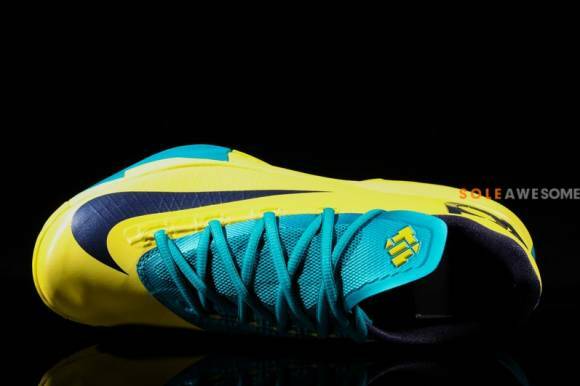 A bright Yellow/Teal upper can be seen as well as the signature nike swoosh on the toe box and KD logo on the heel. 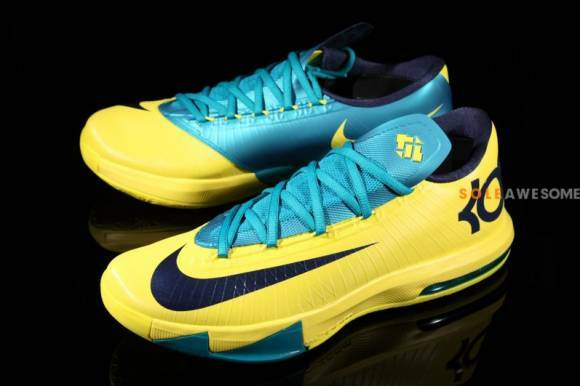 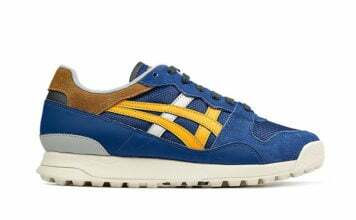 This colorway is expected to release on July 3rd on Nike accounts across the nation.